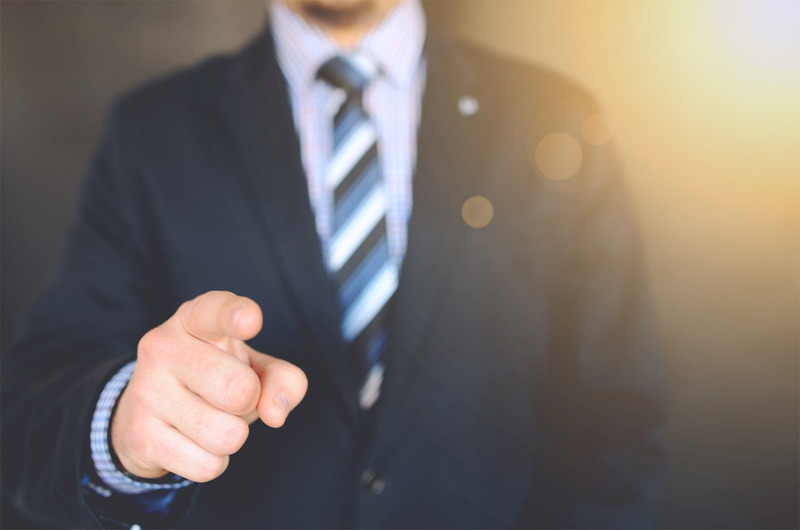 Everyone is somewhat familiar with their inbox being full of mindless emails that ultimately end up being skim read and deleted – but imagine the difference it would make if companies mastered their email marketing campaigns to engage customers? It may be hard; however, it most certainly is worth it. Achieving great results with email marketing is not always simple but the good news is here are some insights and first hand insider tips. When mastered, email marketing has the potential to outperform all other marketing channels – a surprising statement in today’s age of social media influencers. According to the Markedu State of European Email Marketing Report, social media has an ROI of 20:1, whereas email marketing sits at a solid 30:1. Email has been the king of marketing since 1978 and it doesn’t seem to be giving up its throne anytime soon. A detailed, strategic plan is a crucial aspect of mastering your email marketing campaign. This includes several elements such as setting goals, purposes and objectives alongside considering your audience and their needs. The AIDEA sales funnel, an acronym for Attention, Interest, Desire, Engagement and Action) is extremely useful when aiming to understand your customers. Think of it this way, a Google study recently found that the average consumer tends to engage with 11 pieces of content before purchasing a product – typically, we research the product and make price comparisons before making a purchase decision. Understanding the steps between each stage in the AIDEA model allows marketers to think ahead of their customer, providing nurture as they move through the sales funnel. Monitoring your campaigns and thus changing your approach according to what is and isn’t working is 100% necessary in email marketing, so say hello to tracking tools! Unsubscribe rates, conversion rates, open rates, and bounce rates are all aspects that should be tracked to ensure KPIs are successfully reached. By conducting A/B testing and using a sophisticated tracking tool you can determine the best approach leading to a boost in sales and in satisfied customers. And as for automation tools, would you send the same content to existing customers as you would to new customers? Of course not! Your newbie customers need content that is specifically catered to them, so a welcome-flow would be created. Automation tools allow for exactly this, saving time and providing accuracy whatever the size of your mailing list. 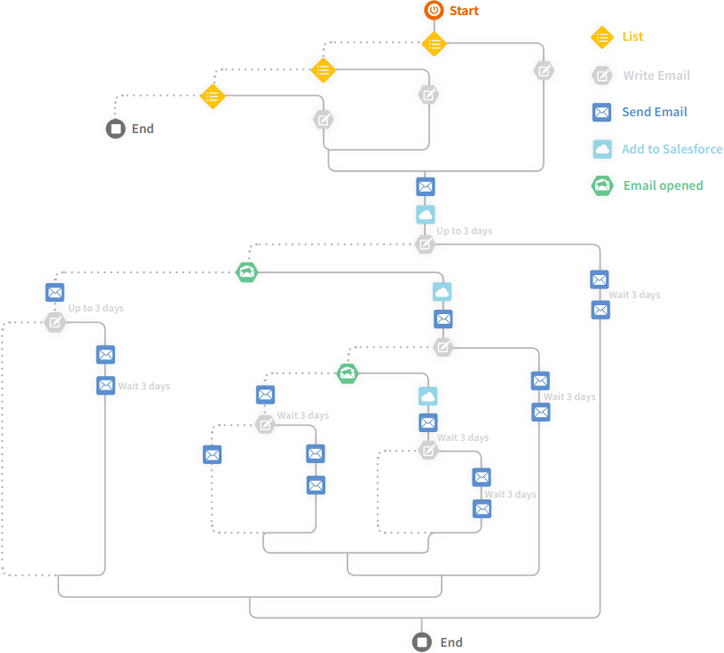 Automation tools provide room for lifecycle campaigns, trigger mails and reminders/nudges to allow for maximum design flexibility. To stand out marketers need to be innovative with their incentives as consumers get swamped with offers from brands on the daily. Mixing up your offers via the use of promotions in various forms and using incentives that are always changing ensure your customers are attentive to upcoming offers. If you are using the same tactics too often it becomes predictive for the customer and will ultimately devalue your product. For example, sending a newsletter advertising a product and then sending a follow-up with a discount for the product a week later is only useful occasionally, as otherwise customers will learn to expect discounts to come through shortly after. An idea for incentives includes keeping your customers in the loop for upcoming products launches and giving them the chance to pre-order so they feel inclusive of business perks and can take full advantage of your services. When a new customer subscribes to your email marketing you should initially be sending all content to them, this includes promotions for products, teasers to new blog posts, industry news, and incentives. However, providing an option to unsubscribe is important to ensure they do not feel overwhelmed and gives you a chance to see what content is working for your customers. 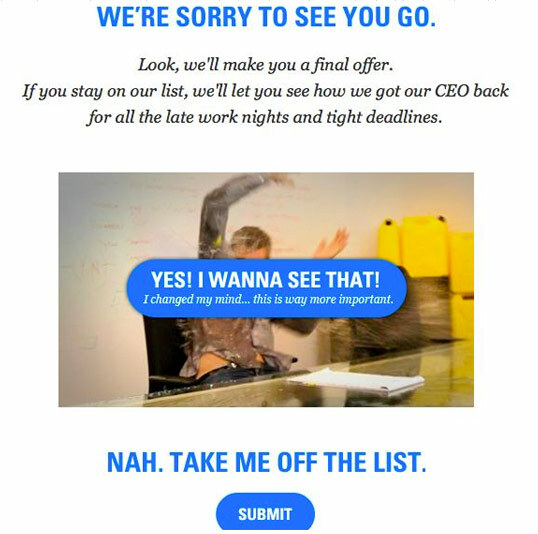 When a customer decides they want to unsubscribe, give them several options. Would they like to simply mute your emails for 30 days and then re-evaluate? Or, would they like to stop receiving emails from just one segment? Giving power to the customers preferences gains respect. Don’t just stick to email to interact with your customers, as you probably know, social media is massively valued these years. Provide social buttons in your emails, and update platforms with fresh contest to improve user engagement and encourage new subscribers. In today’s digital world things are always progressing. There are constantly new trends and competitors to keep up with, staying up to date ensures you are not left behind in the ever-evolving marketing world. Understanding your audience and aligning their needs with your content concept are the foundations of any email marketing campaign. Creativity and analytical thinking are major contributing factors to a successful campaign and A/B testing ensures you are engaging with customers to achieve valued results. Keeping up with email marketing future trends and considering tactical elements such as customer interaction and personalization keep you in the game and help to create a loyal bond with your customer. Michael Leander shares more of his his insider tips and guides you to achieving success in email marketing with his free eBook; Ingredients for successful email marketing. Michael Leander is an expert in all things marketing. Originally from Denmark, Michael has spoken at conferences and seminars all over the globe sharing his knowledge of digital marketing and innovation, in which he has 20 years’ worth of accomplished experience. Using his passion for marketing automation, Leander has helped huge brands turn failing email marketing campaigns into highly successful programs and firmly believes the answer starts from the beginning in mastering the basics of email marketing for the rest to simply follow naturally.